Health care is the treatment and prevention of illnesses and diseases. 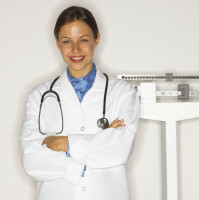 Different doctors treat different injuries, diseases and disabilities. If you have an accident, you need to go to the doctor or to the hospital. Start now with the vocabulary list "Health care basics"